I-222 is already reserved for The I-22/I-422 connector near Birmingham. How about 622 or 822? Personally, I would leave it as US 78. In Alabama, which, despite all outward appearances, is a different state. Kinda confused,(don't have a reliable map), so when the new segment opens, will it be from the I-22 cloverleaf up to the recently completed/open segment, or just a random portion? 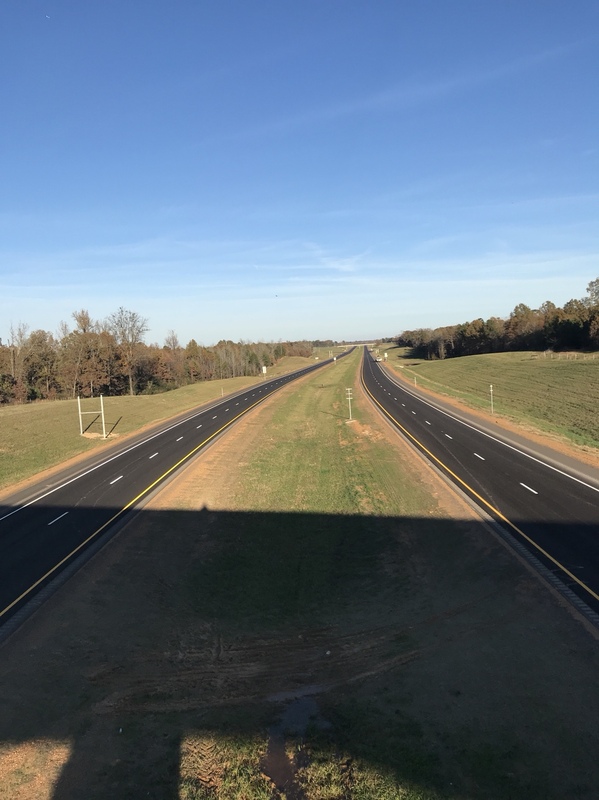 According to the latest article I’ve seen about it, the section from MS 305 (just west of the 22 interchange) to MS 302 (the currently opened section) will open sometime this month. Yes, that's correct. May of 2018 we should see I-269 from I-22 to MS 305 open. In October of 2018, the entire portion of I-269 in Miss. should be open. Yes, that was the one I was referring to. Hopefully it is accurate. I-22 will not have a link to I-69/I-55 until next spring. 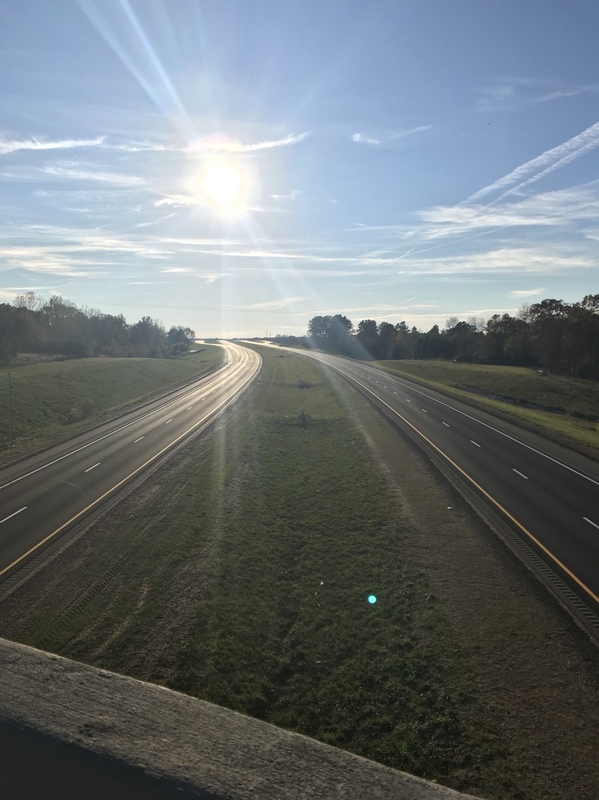 The part opening this month is from MS 305 East to I-22 and then North East to MS 309 and then North to MS 302 where it meets the existing portion of I-269, which will then connect to I-40. I returned to the same area yesterday to see if anything new had been done yet. It appears that the inside shoulder has been striped in both directions. All that is left now are some exit gores and the signs. Speaking of which, all of the posts appear to have been installed and you can see in the first picture (barely) one of the first signs being installed! You can’t tell in the picture, but it was a standard rural MS freeway speed limit sign (speed limit 70/minimum 40). Excited to see this open soon! Photos taken 11/14. It'd be nice if this opened by Saturday so I could take advantage of it on my Thanksgiving trip to Memphis, but somehow I doubt it given the lack of publicity about an opening date. Right! That's what we need -- more exurban development. Better to infill first before slapping down tracts next to an outer loop. The pictures show a nice new road through a very nice-looking area; let's enjoy the open area while we all can before developers carve up the region! So if this all opens next fall 2018, I may be hosting a road meet on this one around that time, my first hosted road meet in 2012 focused on some of the construction of this interstate. From the pictures taken today, I believe this road (or a good section of I-269) will open before the fall. While most of the small signs are in place it looks like there's still substantial work to be done at I-22 as of tonight: no overhead signs or advance BGSes are in place, the mainline striping is incomplete, etc. Nothing that couldn't be knocked out in a few days (unless the posts for BGSes still need to be installed, since it'll take longer to cure the concrete - it was too dark to tell) but since it's likely MDOT told them not to do any work that might disrupt traffic Thanksgiving week I doubt it will open by the end of the month unless they plan to post some temporary signs. Thank you for your interest in the transportation system of the state of Tennessee. The Tennessee Department of Transportation (TDOT) appreciates your concerns regarding the transportation system linking Memphis, TN with Birmingham, AL. Included in the October 6, 2017 TDOT letting was a project for the installation of signs on the I-269 corridor from the Tennessee/Mississippi state-line to S.R. 1 (U.S 70/79) north of I-40 in Shelby County, TN. This project will involve resigning existing S.R. 385 along this corridor. The project was awarded to Superior Traffic Control with a bid price of $589,553.30. The work for this project should begin within the next few months. The purpose of the I-69 corridor is to link the US/Mexico border in southern Texas with the US/Canada border in Michigan. I-269 will serve as a bypass around the east side of Memphis, TN for continuous traffic on I-69. A connection with I-22 will allow for several different traffic routes into and out of Memphis and surrounding areas. If you have any additional questions or concerns, please contact me. My contact information is listed below. Is it just me, or is ending I-269 (for now) at US 79 north of I-40 instead of at I-40 odd? Why aren't they signing it all the way to US 51? I think this has been discussed previously, but it's unlikely that the E-W segment of TN 385 across the "northern tier" of Memphis will receive I-269 signage until funding for SIU 8 of I-69, which is the portion from TN 300 north to Dyersburg, is identified and projects on that corridor are actually let. 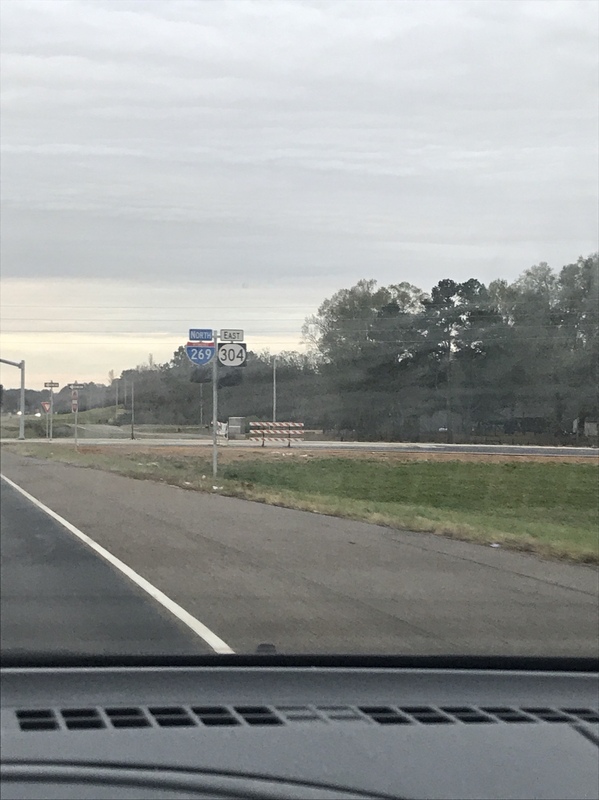 Whether that is TDOT's way to avoid questions about why that I-69 portion hasn't progressed or simply because the only connection to I-69, at least for the near term, will be the one in Hernando, MS is moot; Interstate signage on that segment is functionally pointless until such time as I-69 itself becomes reality. THIS also makes sense. There probably wont be a lot of traffic past that US 70 Arlington exit until i69 ever gets built. That could be decades away. It will also make I 269 roughly a 47 mile interstate for sometime to come. I-269 is only approved to I-40. I assume the signing contract goes to US 70 because of the advance signage needed on southbound TN385 between I-40 and US 70, and perhaps because they'll want to sign the ramps for US70 » SB TN385 as "SOUTH 385 TO I-269"